The history of Rosendal dates back to the 1650s, when the nobleman Ludvig Holgersen Rosenkrantz (1628-1685) came to Bergen as Commissioner of War for the Danish king, Fredrik III. At a ball at the fortress of Bergenhus he met Karen Axelsdatter Mowat (1630-1675), sole heiress to the largest fortune of the country at the time. Her father was a great land-owner and had more than 550 farms all over the western part of Norway. Ludvig and Karen married in 1658, and were given the farm of Hatteberg in Rosendal as a wedding present. In 1661, Rosenkrantz started building his own Manor in Rosendal. The Manor was completed in 1665. In 1678 King Christian V of Denmark gave the estate the status of barony – the only one of its kind in Norway. Around 1850, an expansive renaissance garden was laid out around the Manor. The families of Rosendal were important people in the cultural life of Norway. Norwegian celebrities like Henrik Ibsen, Hans Gude (painter), Edvard Grieg and Ole Bull (composers) were regular exclusive guests of the Barony. Many great concerts have been held at Rosendal, a tradition which is still kept alive. 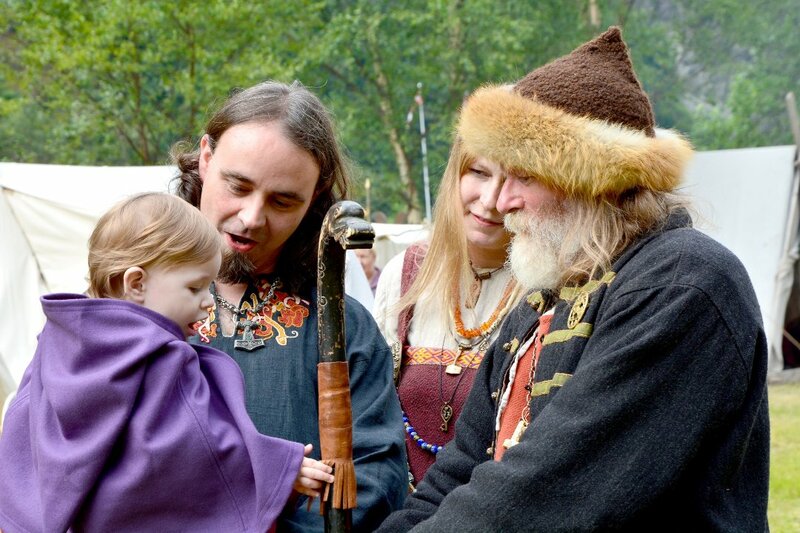 A guided tour at the Barony Rosendal is a spectacular journey through different epochs. The rooms are influenced by 250 years old design, and the Manor is preserved in the same authentic way as it was when the last owners left in 1927. The property was in private ownership until 1927, when the last owner donated it to the University of Oslo. The Manor is now operated as the Baroniet Rosendal Museum. The museum offers valuable information about an important period of Norwegian history. 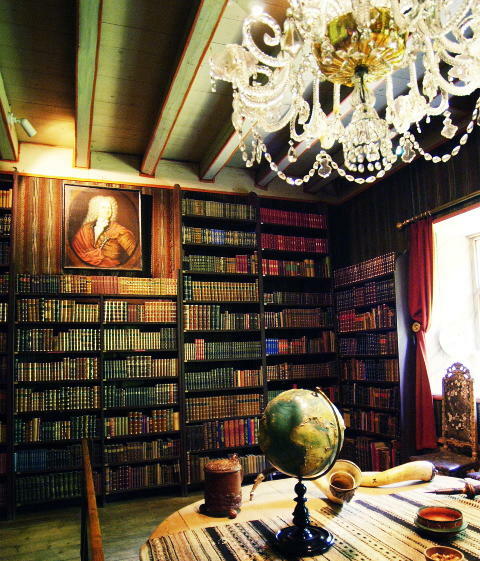 The library at Rosendal is the only room in Norway kept in its entirety from the 1600s. It is clothed in rich French tapestry from the mid-1600s. This tapestry is the only one of its kind still on the original walls. In the Red Room you will meet the grand and beautiful Norwegian nature, painted by the greatest Norwegian landscape painters from the national romantic period. Here are paintings by J.C. Dahl, H.F. Gude, M. Møller, A. Askevold and others. There is also a female portrait painted in the 1880s by Edvard Munch. The Yellow Room has a Norwegian empire-style interior, including some of the most precious empire furniture in the country. The furniture was made by Abraham Bøe from Bergen around 1820. 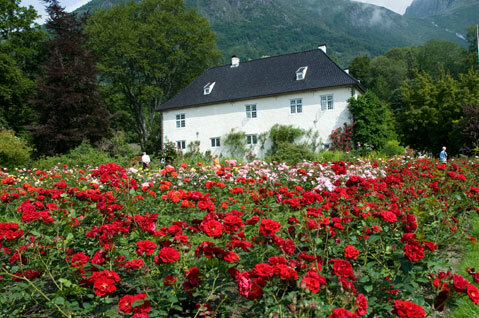 Rosendal is also a suitable for romantic visitors. In the garden you can find one ‘yes-bench’ and one ‘no-bench’. According to tradition, these are ‘proposal benches’ (Make sure to sit down on the correct bench to avoid any confusion and/or sorrow). Rosendal has much more to offer than proposal benches. Do as Henrik Ibsen and have a cup of rose tea in the Tea Room, have lunch in the Greenhouse, go on a flower safari in the garden or have a guided tour inside the spectacular mansion. During the summer season there are guided tours every hour. Read more about the 2012 arrangements here. ‹ What Brought the Black Death to Norway?